Things have been a little quiet on the blog lately as I’ve started to transition into a slightly different fitness realm. As I like to do from time to time, I have taken a step back to reevaluate my exercise program. My priorities have narrowed to a few big ones and that’s what I’m going to use to frame my exercise and training decisions for a while. 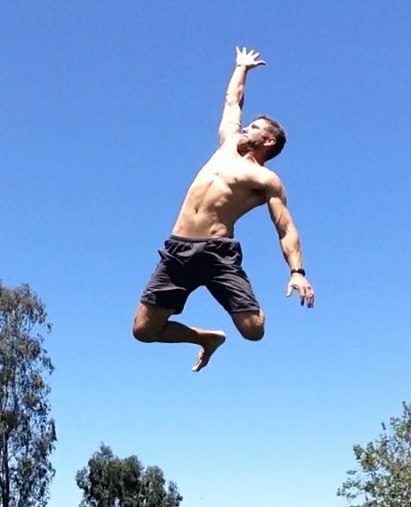 I wrote about this on the Bare 5 blog a week ago or so (Why A Trainer Is Giving Up Working Out… Again), basically explaining my decision to trim my fitness time down to activity/play/fun and ninja warrior training. Priority number one is family, two is work and three is training for next year’s American Ninja Warrior. I want the little extra time and energy I have for fitness to go toward a very specific training purpose. I’m not going to spend time and energy doing exercises and routines that won’t contribute toward my goal. It’s not that doing things like bench press isn’t good, it’s that I want to focus my efforts toward other things. You’ll see this reflected in my Bare 5 Fitness workout posts, which I’ll get back to doing shortly. The two big things I’ve been spending time doing are gymnastics and playground training. I decided to follow the Gymnastics Bodies training system to start from the ground up. I’m starting from the beginning and will follow it to the letter, as it’s designed, without skipping ahead, even when a few of the things aren’t terribly challenging. It’s designed as a slow, steady and graduated program with great progression and thought built into it. I’m looking at this as a year long commitment to gaining gymnastics strength, something I’ve wanted to go after for a while. It’s 20-30 minutes per workout, 4 times a week. Simple, direct, challenging and very transferable to ninja training. Add in a little grip training and call it a day. I’m also continuing to play, climb, swing and jump at parks and playgrounds when I get a chance. This is intuitive, random and fun. I do things that are similar to challenges the ninja warrior courses traditionally offer but very rarely plan anything ahead of time. Every day is different when I go to the park/playground. The last piece to the puzzle is rock climbing, which I’ve done sporadically but hope to get on a semi-regular schedule with. Upper body strength, endurance and grip are all very important for the ninja obstacles, as is the flexibility, body control and creativity developed by rock climbing. Not only that, but it’s fun, challenging and has a nice community. So, in a nut shell, I hope to share as many workouts as I can but they will be a bit different from what you’ve seen. I hope that rethinking, finding and focusing my fitness goals will give me the direction and inspiration to become more ninja-ish while saving a bunch of energy to be a great dad to four kids.